This is a card with a little surprise! I love this set from Unity "Everything Love". 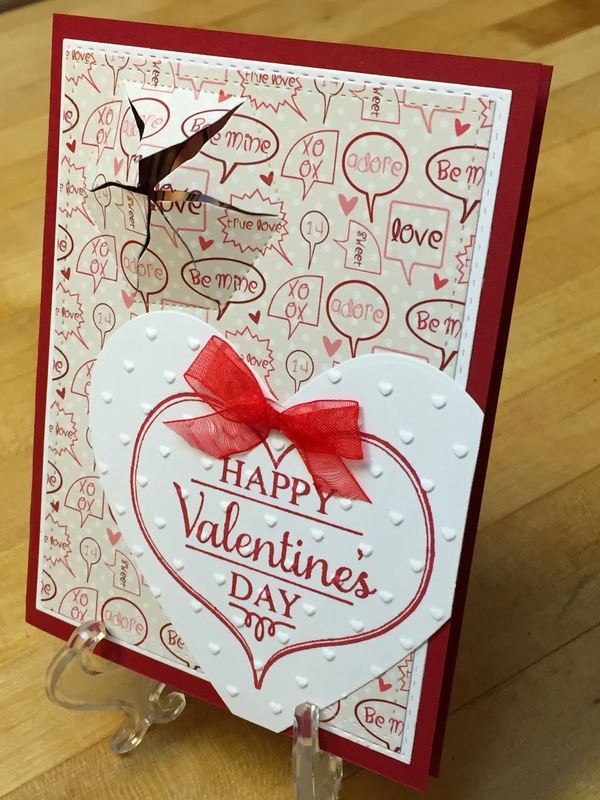 It has so many lovely sayings for Valentine's Day plus a heart frame. This card has a little Peek-A-Boo die cute in the upper left hand corner. Underneath the die I slipped in an image from My Favorite Things "You Have My Heart". Love the image bursting through the paper! Thanks for sharing your sweet card. 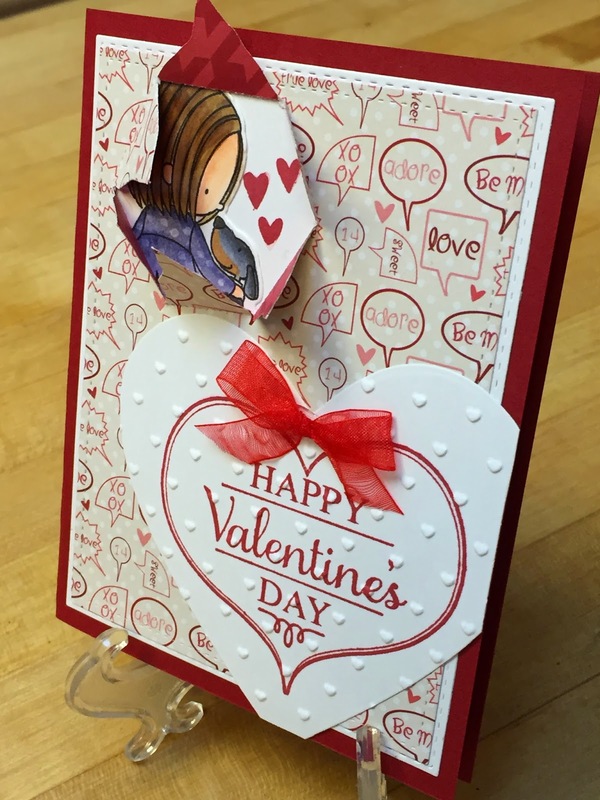 Love the heart sentiment and peekaboo surprise. Stopping by from Unity's Friends with Flair. Awesome little surprise card. I love that peekaboo effect. Awww....that is cute!!! What a clever design. Love the embossed heart, too!! I love the little surprise on this card! Very cute and I like the surprise. I think the little surprise is great. This card is so fun. Thank you for sharing. Such a sweet Valentine! Thanks for posting to MPC! LOVE the cute surprise... Thanks for posting to the MPC/Fancy Pants Designs Sketch Challenge ! !